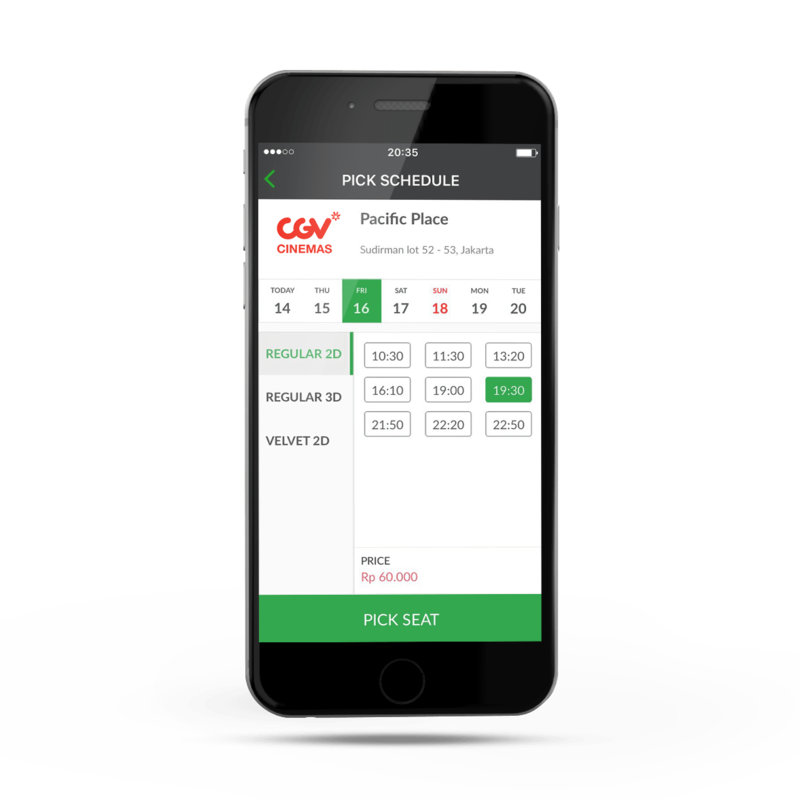 GO-TIX’s new features make it more convenient for you to buy tickets. Find activities and events around you, including great offers! You can find an event based on your interests or your mood. Filter events by location and category to find the information you require. Unsure about which movie to choose? 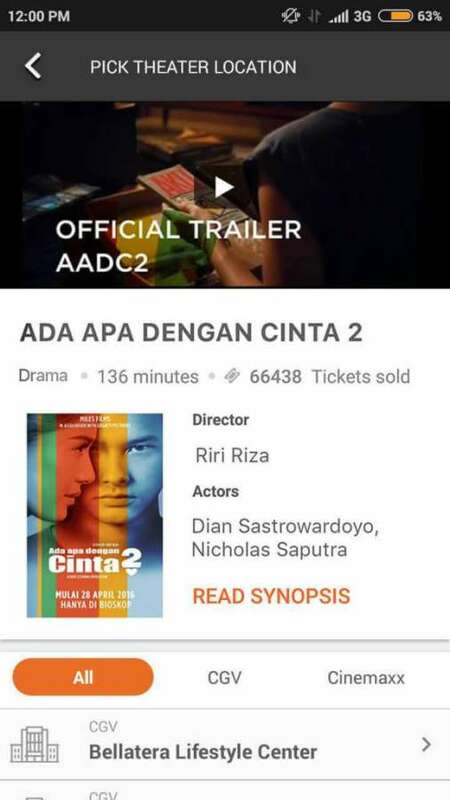 Watch the trailer first, directly from your phone! 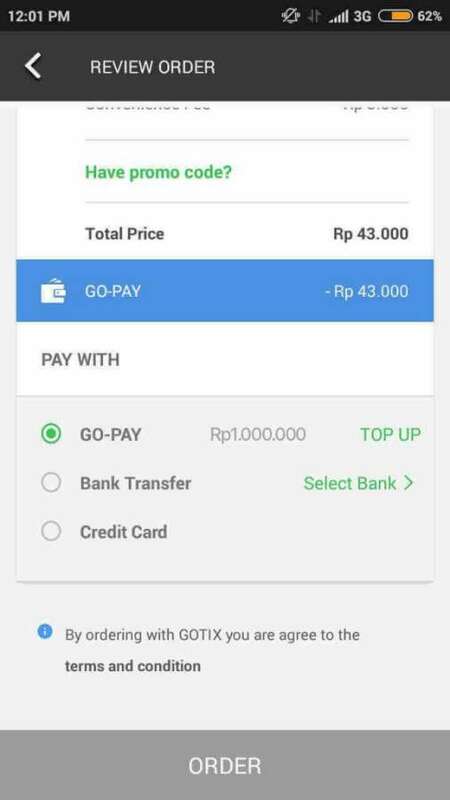 Select how to pay for your tickets: just pick the most convenient option from GO-PAY, bank transfer or credit card! 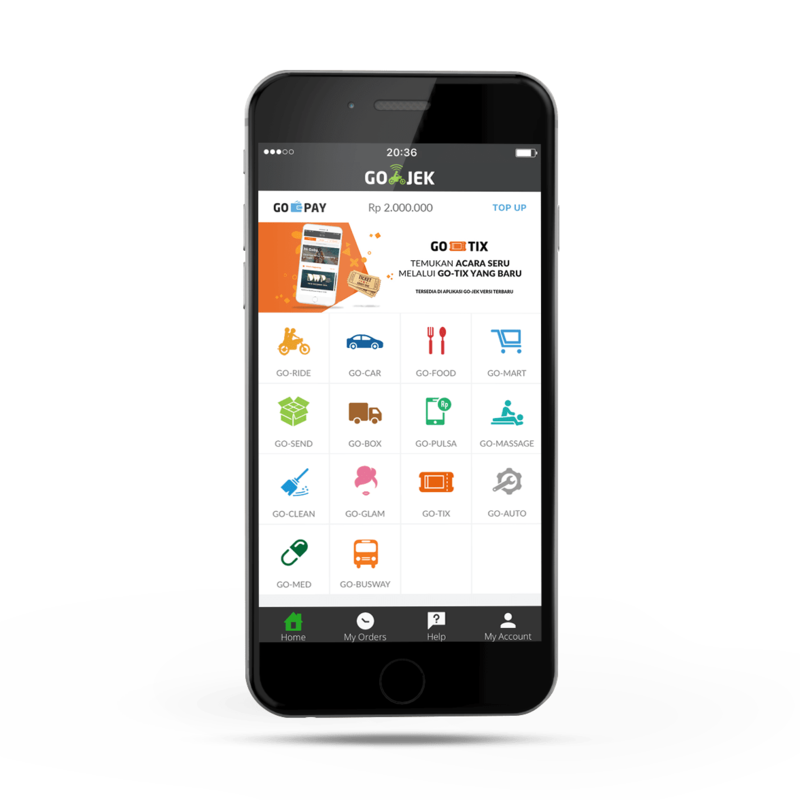 Choose GO-TIX from the GO-JEK app. 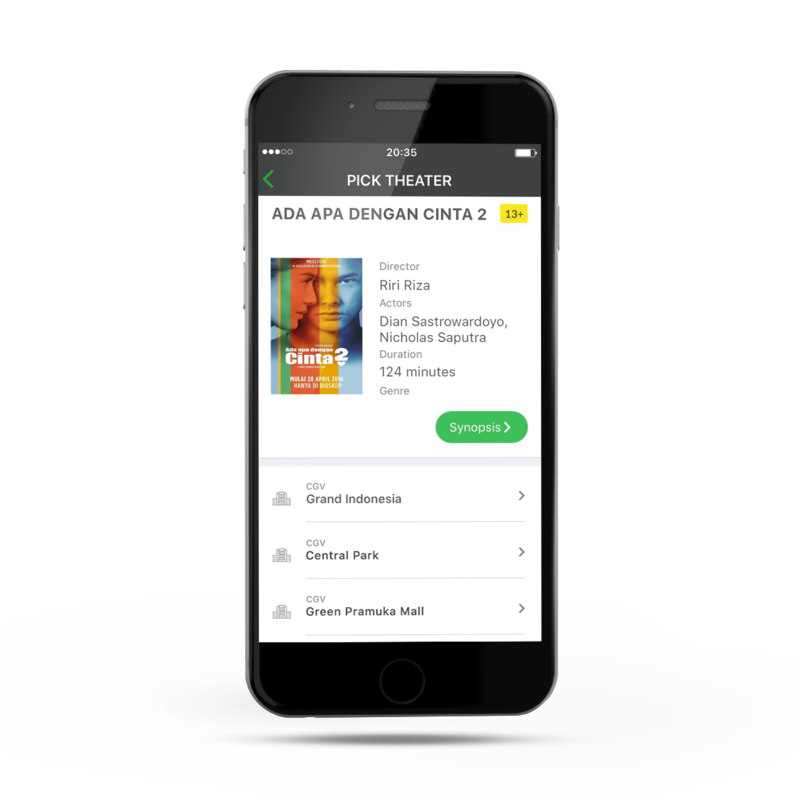 Select the location and movie that you want to watch. Select the date and the time of screening. 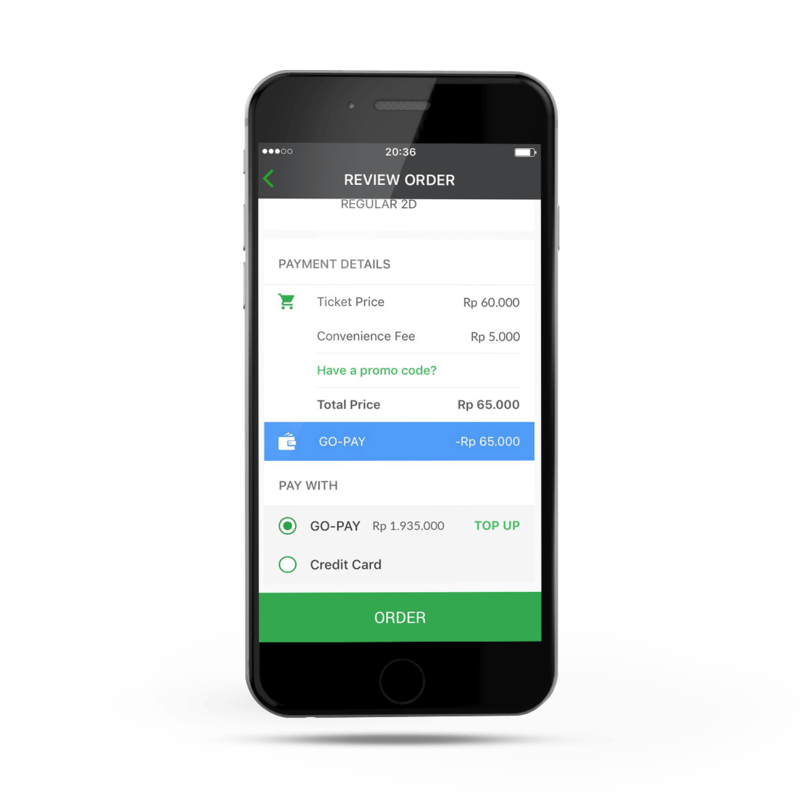 Pay using GO-PAY, bank transfer or credit card, then click on ‘Order’. 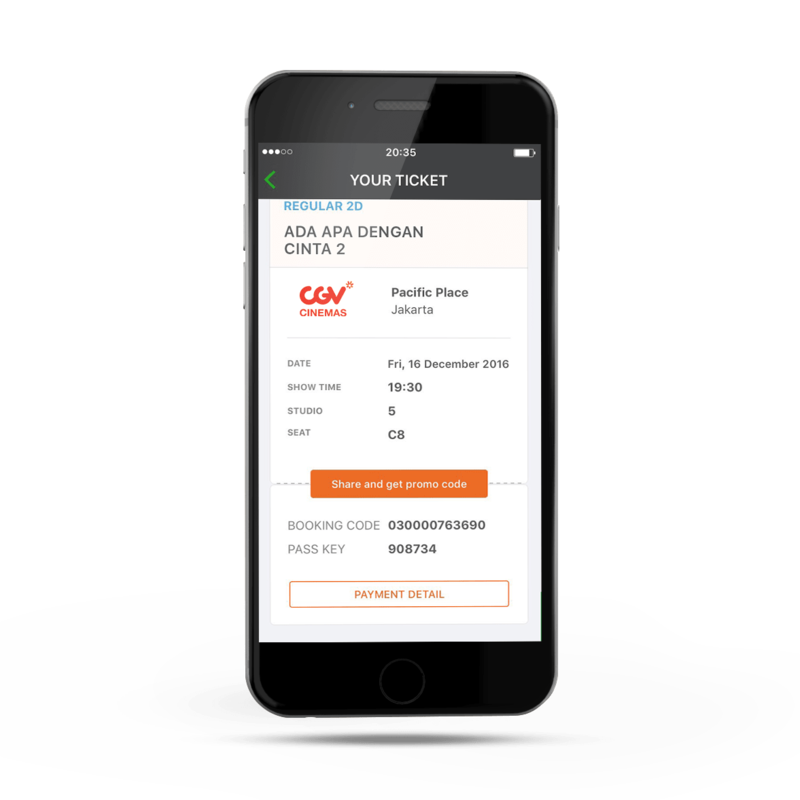 Information about your ticket can be accessed from the My Tickets menu. 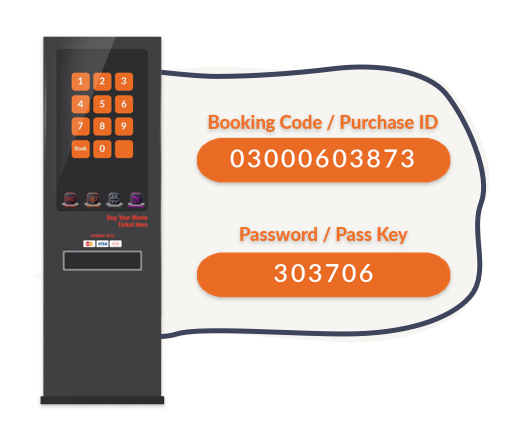 For CGV tickets, enter the Booking Code and Passkey from the My Tickets Menu into the Self-Ticketing Machine at the CGV cinema to collect your physical ticket(s). 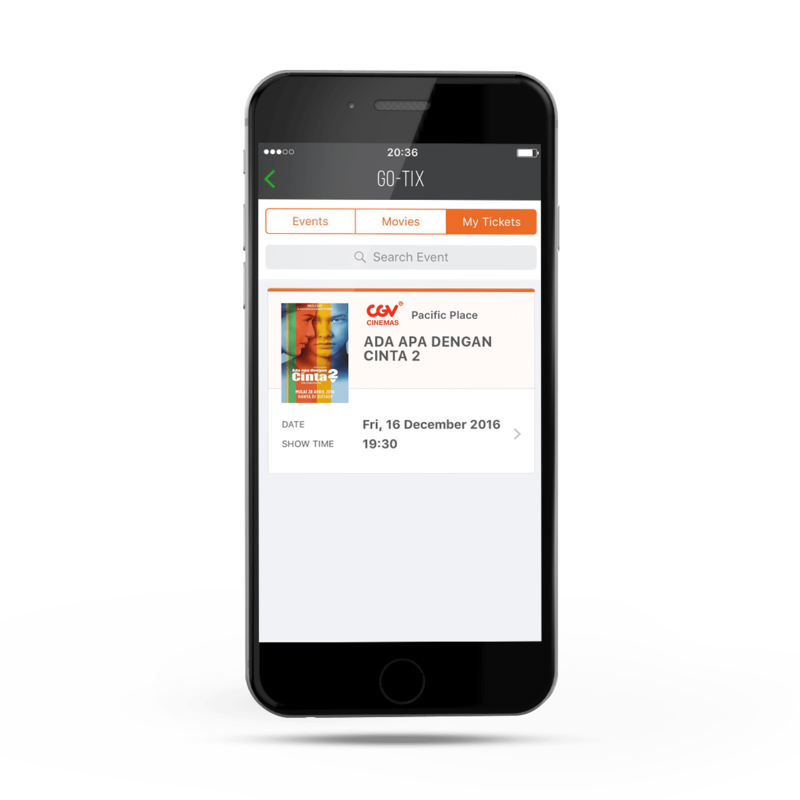 For Cinemaxx tickets, show your Booking ID and Booking Number at the Tixx Counter at the cinema to collect your physical ticket(s). Here are a few benefits that you’ll only get with GO-TIX. 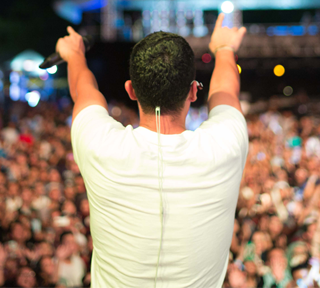 Be the first to know about all the exciting events and activities around you. GO-TIX helps you to find your own prefered activities nearby! 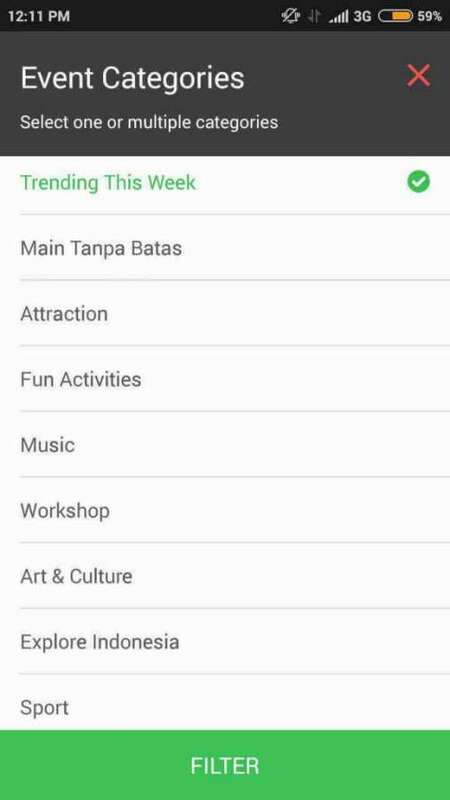 Find the entertainment that you love, from a wide selection of films, concerts, workshops, exhibitions, Indonesian tourist attractions, sports classes, and even soccer games! 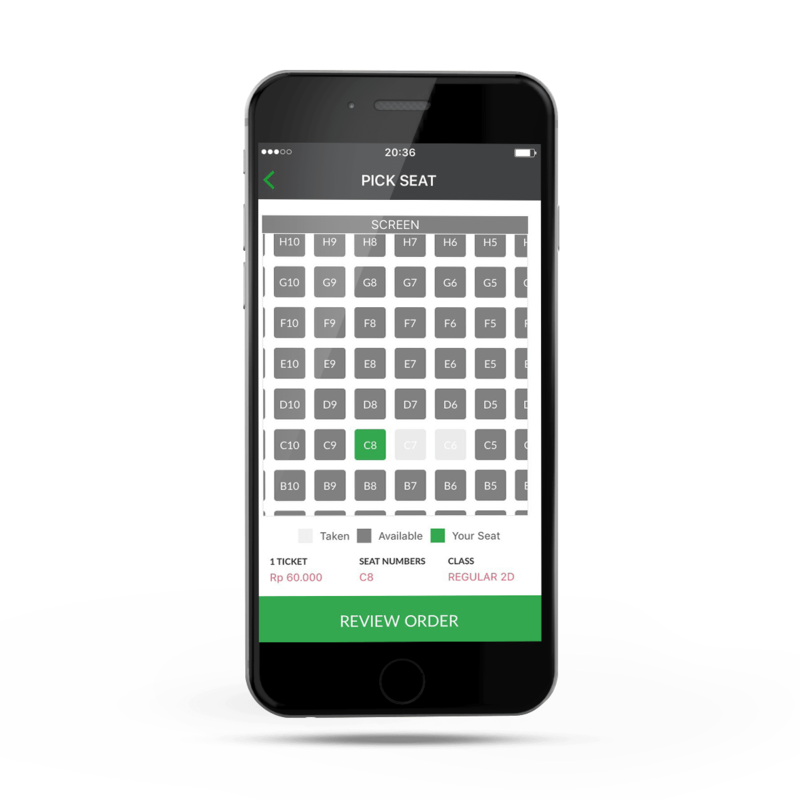 Pre-order movie tickets and select your preferred seats in real time! Again, no need to get in line!